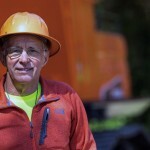 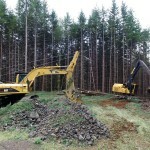 Timber Harvesting magazine contributing writer Paul Posel, along with Associate Editor Jay Donnell, write about a recent visit to Kelso, Washington’s C&C Logging. 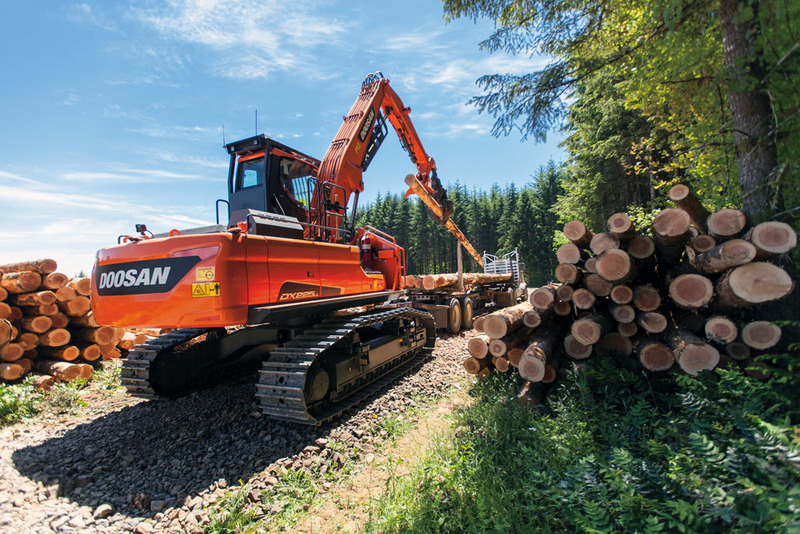 Trying new technology that offers the potential to improve efficiency, production, and safety has always been paramount for southwestern Washington’s Chandler family, owners of C & C Logging in Kelso. 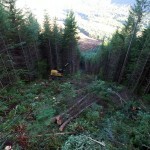 Staying ahead of the curve is one of the characteristics that distinguish the large, progressive logging company. 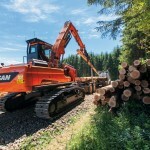 That innovative spirit is once again on display as the nearly 50-year old firm is the first timber harvesting enterprise in the Pacific Northwest to employ a traction-assist system developed by New Zealand manufacturer EMS. 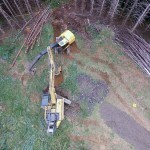 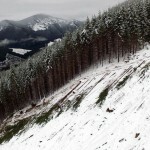 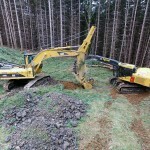 The device, which EMS markets as the Tractionline, uses an old excavator as an anchor on top of the slope and a track-type feller-buncher down below to cut and bunch timber. 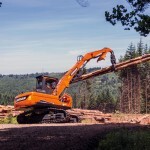 Check out other featured articles in the May/June 2016 issue of Timber Harvesting magazine. 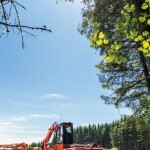 The May/June 2016 issue of Timber Harvesting magazine features Kelso, Washington’s C&C Logging, a special look into new traction-assist technology in the logging industry, a full report on TH’s 2016 Logging Business Survey, and Lake City, Michigan’s Bisballe Forest Products, Inc. A special article discusses the recent Chip Chip Hooray! 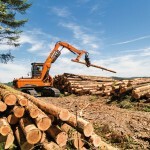 segment of the 2016 Wood Bioenergy Conference & Expo, held in Atlanta, Georgia in April. 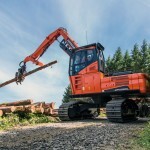 Other articles cover the latest industry news and new products and machinery.